GHRC is presented the 2015 Alice Zachmann Human Rights Award to the community media group Prensa Comunitaria (Community Press), on the 3rd of November, 2015. GHRC selected Prensa Comunitaria for its commitment to grassroots journalism and its focus on documenting important community struggles that often receive little to no coverage in the mainstream media. According to its mission statement, the group aspires to create a space for debate on a range of social issues, with the goal of strengthening democracy in Guatemala. Prensa Comunitaria is a network of communicators – including analysts, photojournalists, reporters and investigators – who work at the community level to document stories that affect residents’ lives, often through the use of personal testimonies. The network has been hugely important in raising awareness about underreported community movements, efforts to defend land and human rights, and prominent human rights legal cases. One of Prensa Comunitaria’s regions of focus has been northern Huehuetenango, in the highlands of western Guatemala. The area has experienced growing social conflict over the past several years, particularly around mines and hydroelectric projects. Members of Prensa Comunitaria have provided in-depth investigations, analysis and coverage of local resistance movements, government repression and militarization, attacks against community radio, and the criminalization of community leaders from the region. Journalism is a dangerous profession in Guatemala. The first six months of 2015 alone saw 59 documented attacks against journalists including the murder of three journalists within one week in March. In this context, correspondents from Prensa Comunitaria have continued to challenge the systems that seek to silence them. Their valuable work represents an ongoing effort to defend the right to freedom of expression and to freedom of the press. 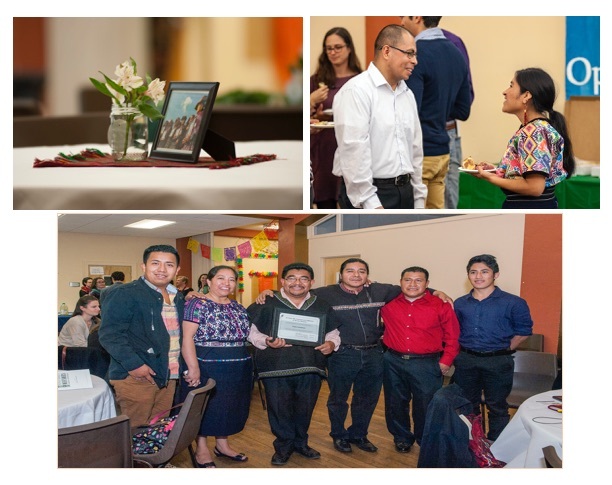 Lorenzo Mateo Francisco, a member of Prensa Comunitaria and an indigenous leader from the Huehuetenango region, accepted the award and gave a speech on behalf of the organization. He serves as coordinator of the Snuq’ Jolom Knob’ Community radio station in Santa Eulalia.